My niece Madi, who works in the adult beverage industry, introduced me to this tasty cocktail. It is super simple to make, has an interesting and complex palate, can be served up or on the rocks and is a great segue drink from summer to fall. 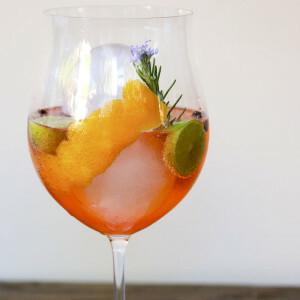 So as the summer heat dissipates, put down your Aperol Spritz and shake yourself up one of these tasty drinks to celebrate the coming Fall season. This cocktail was created by Sam Ross, a world renowned bartender, who named the drink after rapper M.I.A. 's song Paper Airplanes that he was listening to when he created the cocktail. It is essentially a jazzed up whiskey sour with lovely herbal, citrus and bitter notes provided by the Aperol and Amaro Nonino. The Paper Airplane has caught on internationally and is said to be the official drink of Toronto, for reasons no one can fathom. Aperol is similar to Compari, but lighter in bitterness and alcohol content. 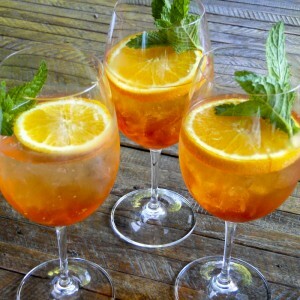 It is the defining ingredient in the very popular Aperol spritz. It is particularly suitable as an aperitif, or before-dinner drink. Aperol is similar in flavor to Compari, but significantly lighter at only 11% alcohol content. Aperol will celebrate its 100th anniversary in 2019. The Paper Airplane is definitively one of the cocktails you should try to celebrate this distinguished birthday. Amaro Nonino is a grappa-based digestif from Fruili, Italy. It is made from a long list of herbs, spices and roots and is quite potent at 70 proof. Amari are traditionally served after a meal and possibly as a dessert pairing. Amari have been crafted for centuries, often at monasteries. They are touted to offer medicinal benefits running the gambit from an aphrodisiac, to a pain reliever, to a digestion aid. All three work for me! There are many many different amari. I got a great introduction to amari at Pizzeria Mozza in Newport Beach. My husband and I had dinner at the bar and afterwards the bartender introduced us to four or five amari, pouring us a tiny taste of each. It was a very nice way to learn about this interesting Italian digestif. No Einstein memory required for this cocktail. It is made of equal parts of each ingredient. I sized this recipe for two cocktails, because there is a good chance you won't be drinking alone! This cocktail was designed to be served in a champagne coupe glass. You know the champagne glasses in your grandma's cupboard? The ones that are nearly impossible to keep from spilling because they are so wide and shallow? You can purchase coupe glasses here. Or improvise like I do and use a martini-type glass or anything designed to take a neat (meaning no ice) pour. Note: SNFD is an Amazon Affiliate and we may make a small commission on purchases you make through our links. The drink is often served with a little paper airplane garnish, but it is not essential to the enjoyment of the drink. Note to self, the paper airplane garnish is not generally considered edible. My niece Madi has nimble fingers and can fold up cute airplanes in nano seconds. My airplanes were not nearly as precise or professional and more likely doomed to a crash landing than her precision planes. Madi and I also experimented with a spiral of lemon zest and some basil chiffonade. Both worked well from a flavor standpoint, but the shredded basil is not gorgeous and does have a tendency to get caught in your teeth. 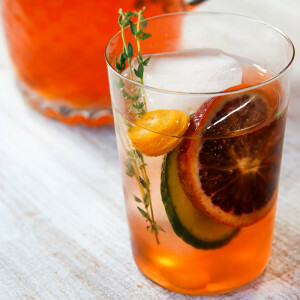 Created by Sam Ross, this refreshing herbal, bitter cocktail is refreshing and a great drink to transition into Fall. Fill a cocktail shaker with ice. Put all four ingredients into the shaker and shake over your shoulder for 15 - 20 seconds until the shaker is well condensed. To serve neat, strain into a glass and garnish with a paper airplane. To serve on the rocks, fill a glass with ice and strain into the glass, discarding the ice left over in the cocktail shaker. Garnish with a paper airplane.